Hi there, Mermaids! 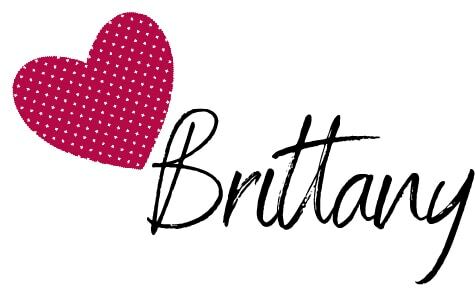 Brittany here! 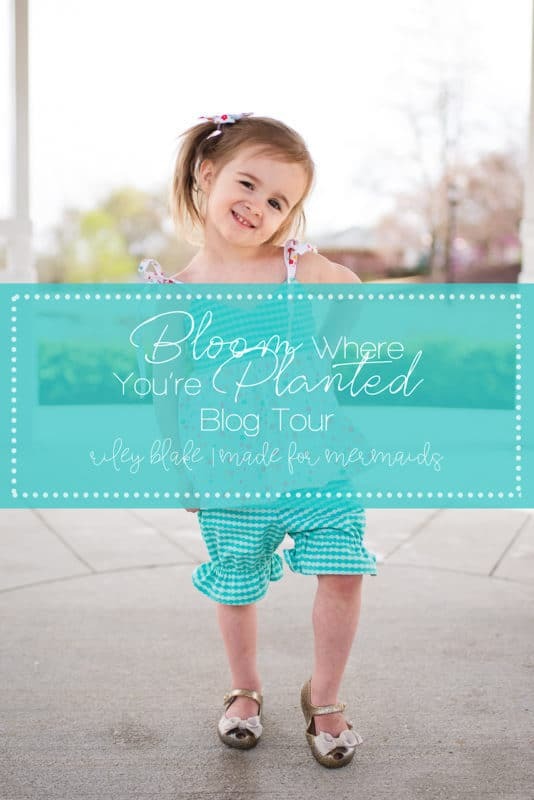 Today we’re so excited to be a part of the Riley Blake Bloom Where You’re Planted Blog Tour! 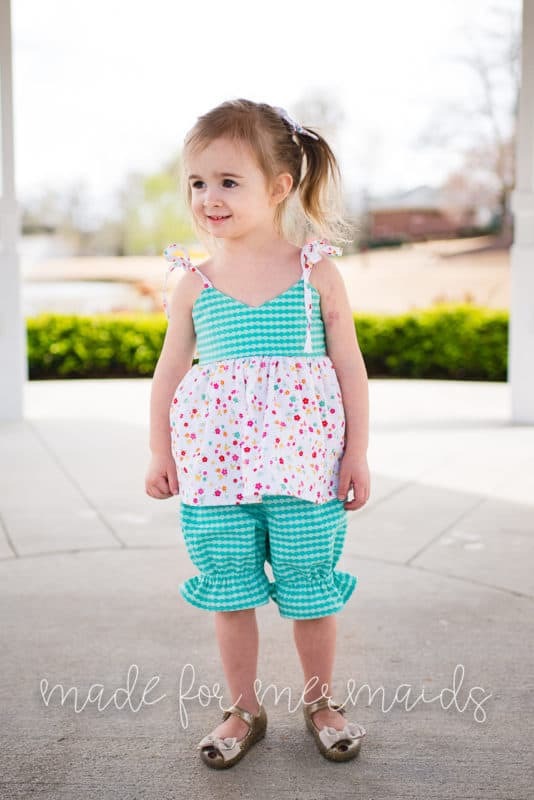 These cute fabrics are perfect for spring sewing, and they’ve definitely gotten us ready for spring in our house! With Spring in the air (or not so much, in most areas of the country 😉 ), I was excited to pull out my warm weather patterns for this blog tour! 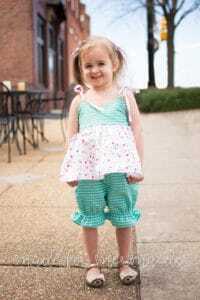 The Quinn top and Olivia pantaloons were just the perfect combo! And can’t forget about the FREE Sydney Sailor Bows, either!! They are a staple accessory for us, and I make them to match almost every outfit! Once I saw the fabrics, I knew that the Aqua Bloom Scallops were just meant to become pantaloons. Something about the nostalgia of scallops combined with the nostalgia of pantaloons…… I just love it! (Olivia also has a bloomer option.) I used the scallops for the bodice of the Quinn top as well, to tie it all together. Of course, you can’t forget about the cute, coordinating White Bloom Floral that I used for the skirt portion of the Quinn top! 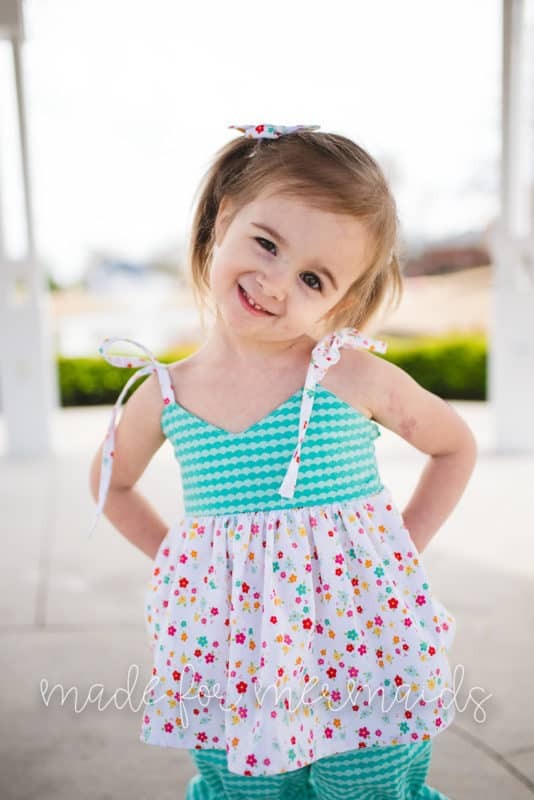 The colors and shapes of the flowers are just timeless and endearing, and it makes me want to keep her little forever! 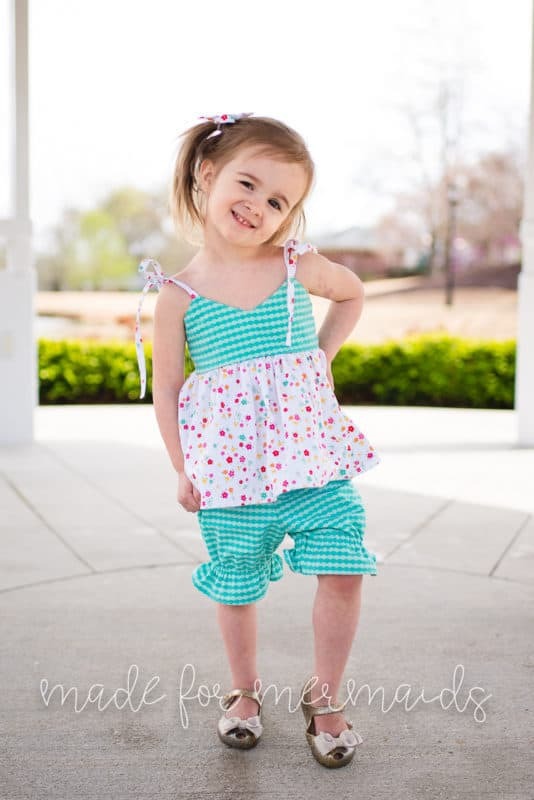 As you can tell, my little girl definitely loves her whole outfit as much as I love the fabrics! Do you love these fabrics as much as we do? What would you use them for? Share below or interact with us in our Facebook group!